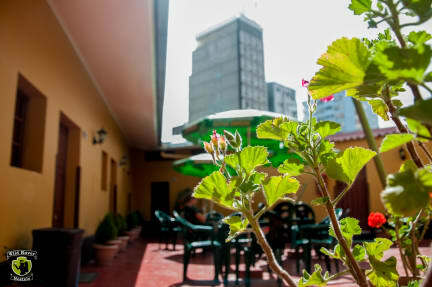 Wild Rover Hostel La Paz i La Paz, Bolivia: Bestill nå! Very nice hostel with a great staff! They helped us and gave us tips when the altitude sickness kicked in. Good locations, close to markets and other things in La Paz. Good beds, but very cold in the dorms. Bring proper and hot clothes. There aren't many inside arena either, except for the resturant area, which have good food and Nice prices as Well. Wifi didn't work all the time, especially in the dorms we had problems with a connection. Overalll a good hostel for the price!